Short Trek in Nepal is suitable for those who have the short period of holiday, but want to explore the Himalayan region of Nepal. Similarly, this type of trekking also suits for the family trekkers with their kids and for those too who have the problem of high altitude or can walk longer. Anyway, Easy Trekking in Nepal offers overall sceneries of Nepalese Himalayas and the residence of hillside. The Nepal Easy Trek especially leads you to Everest and Annapurna regions in Nepal. However, other options are also available like Langtang region. 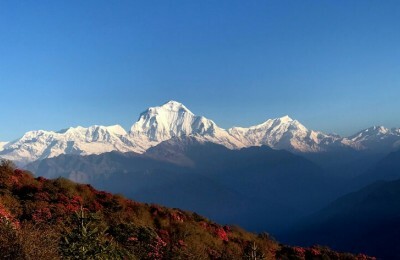 In the same way, the hiking near the Kathmandu Valley can be another option which offers the beautiful vantage point for looking the Himalayan ranges. Besides, Pokhara is the second largest valley of Nepal and it is set on the bank of wonderful Fewa Lake. This city is surrounded by mountains including Annapurna, Fishtail and Dhaulagiri. Actually, almost all the trekking routes to Annapurna region start from this valley where is the hiking spot too known as Sarangkot Hiking. Basically, this place is popular as viewpoint for looking the golden views of sunrise and sunset over the mountains. Short Trek in Nepal is also fit for the busy man, but have the strong desire to visit the mountains of Nepal. Generally, this sort of trekking takes you to vantage point for watching the views of mountain ranges. So, your trail goes especially through the beautiful forest with full of flora and fauna and the ethnic villages. As a result, you get the opportunity to observe the cultures as well as the religions of the inhabitants. Mostly, you explore the Buddhist residence and their Shrine and monasteries. It is almost similar to go to the Base Camp of any Mountain. The only different is that the Easy Trek offers not too much closer views of Nepal Mountains as the Base Camp Trek does. Overall, this trip can be remarkable with the breathtaking views. For this trip, no any technical skills are required because our expert trekking guides lead you in a careful way. For more details about the Short Trek in Nepal, please contact Rising Adventure.